MessageWay complements MOVEit implementations providing support for Linux, Oracle and file transformation capabilities. 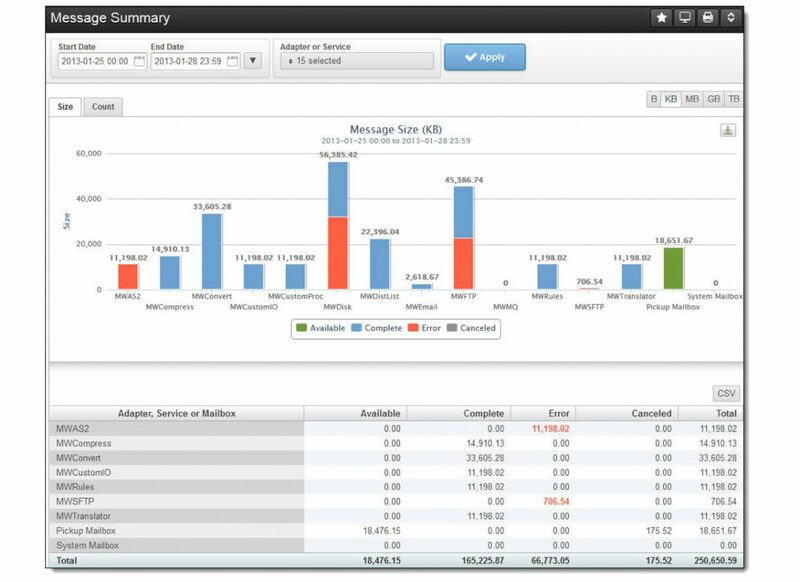 MessageWay is an affordable B2Bi solution for the mid-market and departments of large enterprises, offering secure, reliable, high-performance file transfer and integration MessageWay provides B2Bi (Business to Business integration) capabilities without the costs associated with complex solutions designed for Global 500 corporations. 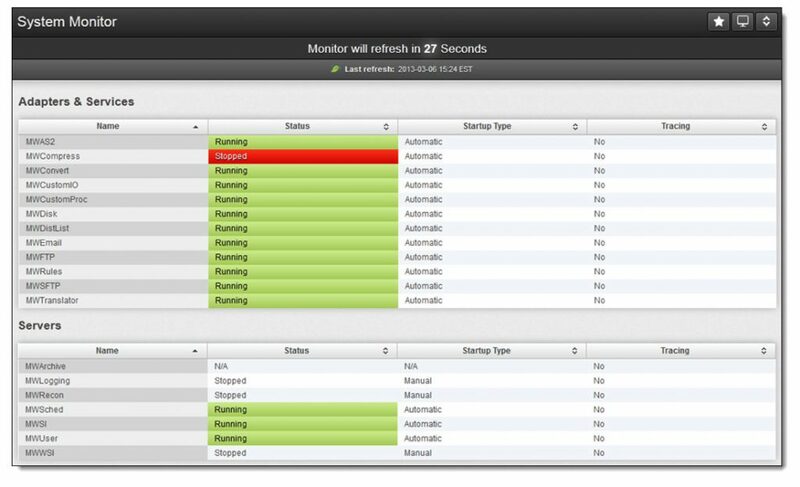 It provides immediate visibility and control to support regulatory and SLA compliance. Plus, MessageWay integrates with your existing infrastructures – no rip-and-replace required – and offers the option for do-it-yourself deployment, integration, and upgrades. needed to eliminate bottlenecks that can slow delivery. integrates with standard authentication methods and allows central management of users and groups. world’s largest payment processor as well as the everyday operations of mid-market companies. real time, helping organizations meet regulatory and audit requirements such as SOX, HIPAA, and PCI-DSS. Whether receiving files from your trading partners or ‘pushing’ files to them, data is securely streamed through your DMZ without the need to store data even temporarily in less secured zones of your multi-tiered network. SOAP/REST web services interfaces provide lightweight access to core MessageWay services and data repositories. Additionally, you can implement loosely coupled custom processes via command line or scripts for rapid migration and deployment. MessageWay easily integrates with your existing infrastructure providing SOAP and REST based Web Services APIs and adapters for IBM WebSphere MQ and IBM Sterling Connect:Direct. It integrates with existing middleware and business applications such as IBM, Oracle, SAP and TIBCO. Platform support includes UNIX, Linux, and Windows. Leverage data transformation for destination-ready file delivery (flat files, XML, X12, EDI, AS2, ERP, SWIFT, ACH, HL7, BA12, and proprietary). Transfer files using any supported protocols and messaging infrastructure: FTP, FTP/SSL, SSH/SFTP/SCP, HTTP/HTTPS, AS2, SMTP/POP3, IBM Sterling Connect:Direct, and IBM MQ.